Participate in the behind-the-scenes magic that volunteers help to conjure so our community's access to materials, programs, and learning never wanes. If you are a devoted bibliophile who likes to keep a tall pile of books at hand, you've found the right place to volunteer. When you pitch in at LPL, you'll handle books of all shapes, sizes, and genres. But book-lugging is only the tip of the iceberg. When you volunteer at the library, you give back to your community and make it a better place to live. 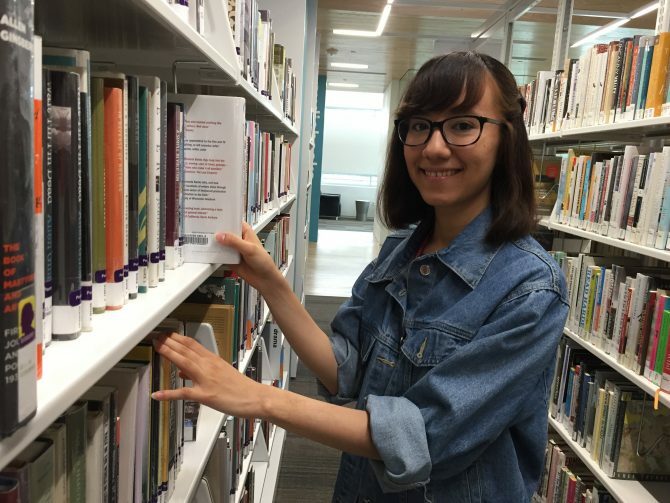 With help from our library volunteers, we learn, connect, create, and grow as both a library and a community by extending critical literacy and learning resources to all. Our volunteers really make a difference! Learn more about what it's like to be a "book lugger"
If you are a teen between 11-18 years old (7th-12th grades) and would like to volunteer directly with the library please visit the VolunTeens page, where you'll find info about applying to volunteer and assist in the Children's Library and Teen Zone. Every box of donations is a treasure trove for Friends volunteers to sort through, appraise, and get ready for one of many legendary book sales orchestrated almost entirely by volunteers. Come aboard the Friends volunteer league! This opportunity is open to teens, adults, and families. The Friends raise essential funds for innovative library projects, programs, and equipment. And they're a really fun group of smart, affable people who will feel more like family than friends once you've joined their ranks.